Did you know that those with memory loss or dementia are 4 to 5 times greater at risk for falling than seniors without impairment? Clear Away Clutter - Ensure that pathways are wide and clear of debris. Throw Out Throw Rugs - These attractive rugs are trip hazards. Improve Illumination - Here's a bright idea: increase lighting inside. Also consider nightlights to light the way in hallways and bathrooms. Get a Foothold on Your Footwear - Opt for comfortable stable footwear that provides support. 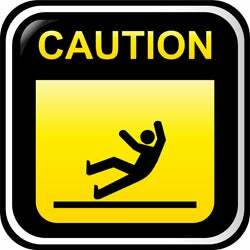 For more helpful tips on avoid falls, please review this article from the Fischer Center for Alzheimer's Research.